Street Fighter IV, Need for Speed Hot Pursuit, FIFA 11 now available for $0.99! Three popular iPhone games is now available for the $0.99: Street Fighter IV, Need for Speed Hot Pursuit, and FIFA 11. Need for Speed and FIFA were apparently discounted for the Father’s day special. As for Street Fighter, the next iteration — Street Fighter IV Volt — will be released in July. Gamers who have both versions are promised ‘something special’. Update: Need for Speed and FIFA have both reverted to the original USD 4.99 price. Fruit Ninja 1.7 iPhone update now available! 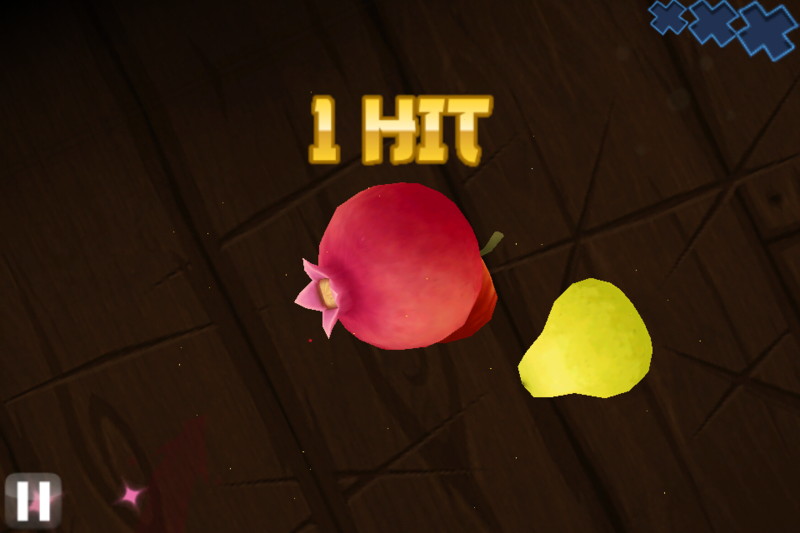 The 1.7 update for the immensely popular Fruit Ninja on the iPhone now has a new fruit to slice — the Pomegranate! Once the Pomegranate appears on the screen, you can slice it as many times as you can before it explodes and destroy all the bombs and fruits around it. This new feature now allows you to attain even higher score in the Classic and Arcade mode. Some of the other new features included in this update features a new musical score for the Dojo, friends’ best scores in the results screen and new tweaks to the Arcade mode. Fruit Ninja is available on the App Store for USD 0.99. When I took this picture along the beach of Melbourne, I immediately thought of the wonderful poem, Footprints in the Sand by Mary Stevenson. Thus when I got back home to my computer, I inserted the poem into the photo using photoshop. How often in our most trying time we think that we are all on our own with no one to help us. We think that nobody could understand our plight or offer any form of relief. 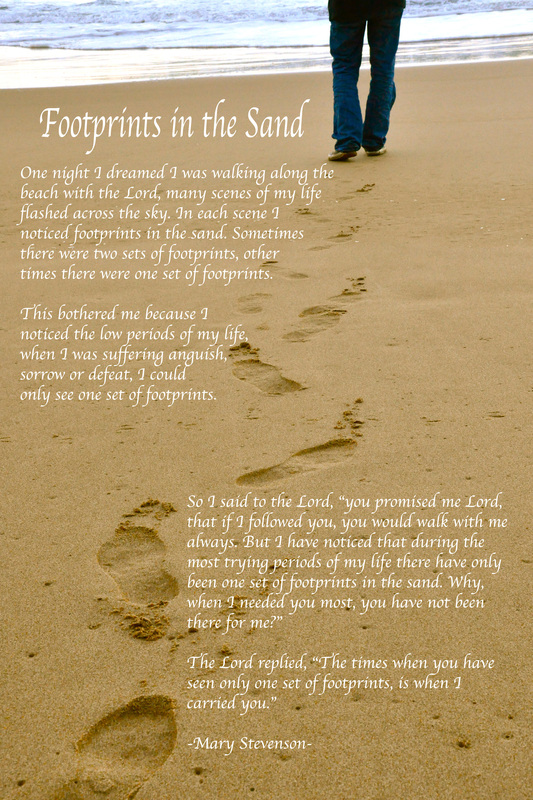 But God is always there for us, watching our every footstep and carrying us along. Sometimes we stray into the wrong path and injure ourselves, but his sustaining hand is always there to nudge us back to the straight and narrow way again. As most of you already know, a full lunar eclipse was visible on June 16 2011. I did not want to miss this opportunity, so I brought my Nikon D90 along with tripod and 18-105 (not the best lens I know!). I went to a open top of a multi-story carpark which gave me a clear view of the sky. At 3am (Singapore time), the sky was black and there was already a partial eclipse as can be seen from the first picture above. At about 3.25am, without looking through the camera, it looked like a full eclipse. Through the lens, the moon looked blood red. After about 10mins, the clouds came and blocked out the view of the moon completely, leaving the sky in a redness that I have never seen before. Angry Birds 1.6.0 update is now available on the iPhone! The bad pigs have now gone underground with the eggs. Overcome brand new obstacles and landscape to destroy the pigs and retrieve the rare gems. Enjoy the underground theme of ‘Mine and Dine’ on your iPhone now! Mine and Dine: a new cave themed episode begins with 15 new levels! Find all the collectible jewels! 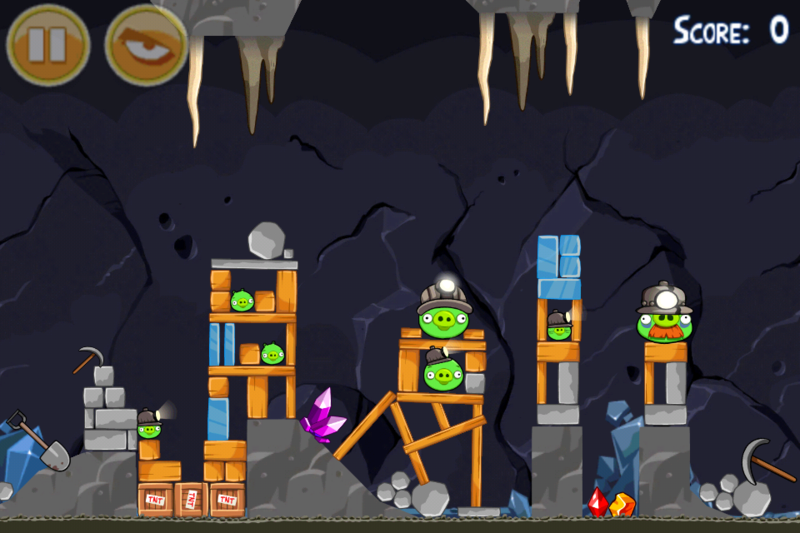 Use hanging stalactites to pop pesky burrowing piggies! Any particular levels stonewalling your progress? 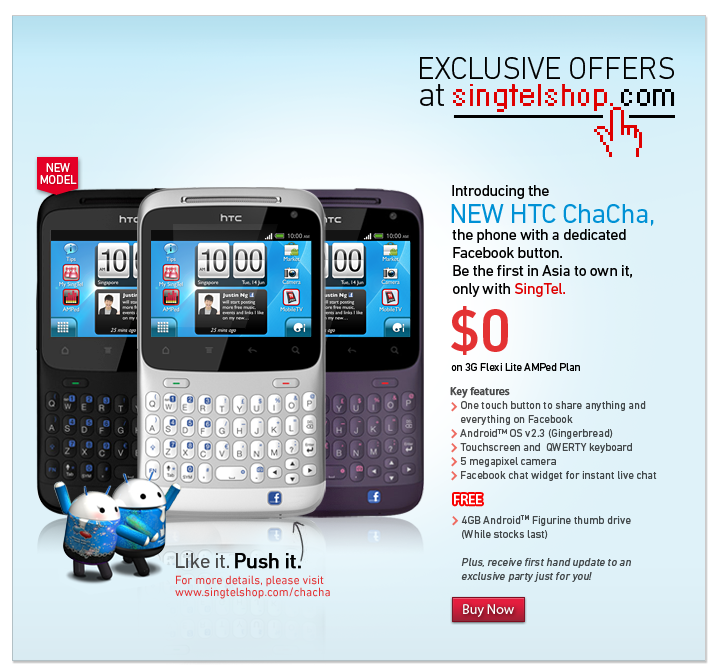 We tweaks a couple of them to spare you a few gray hairs! 1.6.1 now available to fix loading issue. 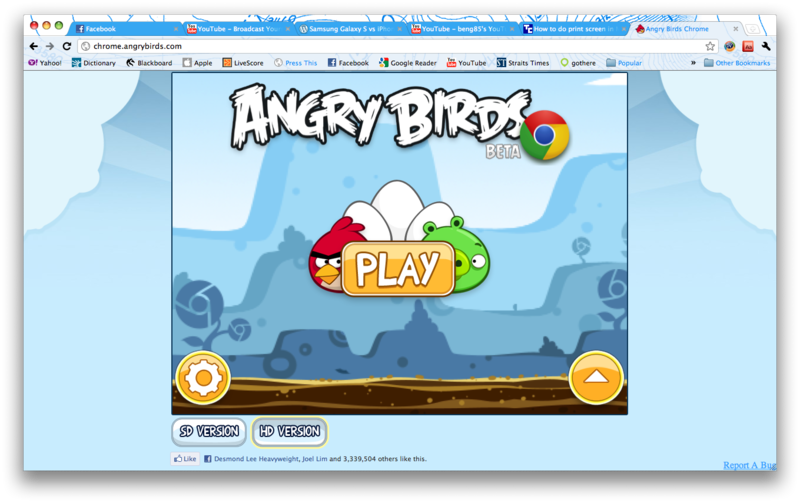 Angry Birds on Chrome Browser! In case you don’t know — Angry Birds is now downloadable on the Chrome Web Store for FREE! Enjoy the ubiquitous bird-slinging game which was made popular on the iPhone iOS, with new features such as the ‘chrome bomb’ and new ‘chrome levels’. As long as it is a chrome browser, you can play in on any OS. Enjoy!